According to the German saxophonist Gebhard Ullmann working for Leo Records is a win-win-situation. 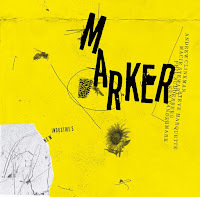 While Leo Feigin, who does not care about the confinements of conventions and routines (and they exist even in free jazz), wants to keep his label going (although you cannot get rich with this kind of music), the musicians want to spread their music. If you can publish an album on Leo Records it is some kind of accolade for a musician – he or she is “Leo-proofed” – which is an advantage when it comes to negotiations with promoters or requests by journalists. 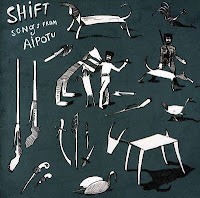 Shift are Frank Gratkowski (reeds), Thomas Lehn (synthesizer), Philip Zoubek (piano), Dieter Manderscheid (bass) and Martin Blume (drums, perc) and “Songs from Aipotu” is a lucky bag of subliminal brewing and communicative energy. 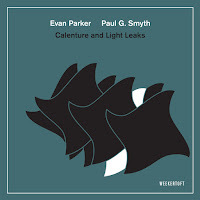 For a short moment “Introduction”, the central track, is very tender, lost in thought, almost idyllic, but soon the clarinet gets nervous, it is pushing the others and what follows is an explosion of creativity, an up and down of emotions. The reeds are kissing, smacking, and squealing at the same time, there are synthesizer beeps and creaks put through the grinder and sparkling piano chips and all of a sudden the track is almost petering out. While piano, bass and drums are the cement that bonds the pieces, Lehn’s synthesizer is always trying to rip them up, he is tearing and dragging at them, instigating and fueling the expressionistic outbursts. On the one hand the others try to follow him, on the other hand they have to make sure that the pieces do not lose their tracks, a dichotomy which gives the album a great tension. Lehn differs from other contemporary synth players because he uses his instrument in an aggressive yet discrete way. Whereas other electronic improvisers often depend on acoustic input, he is more independent treating the synth like a solo instrument. The result is an excellent group improvisation and Frank Gratkowski says about his music that there were no predefined rules, that’s why he calls it instant composing. The fact of structuring the music instantly was very important and on this album passion and creative will are combined, the music possesses precision within channeled sonic explorations even in its fiercest outbursts. 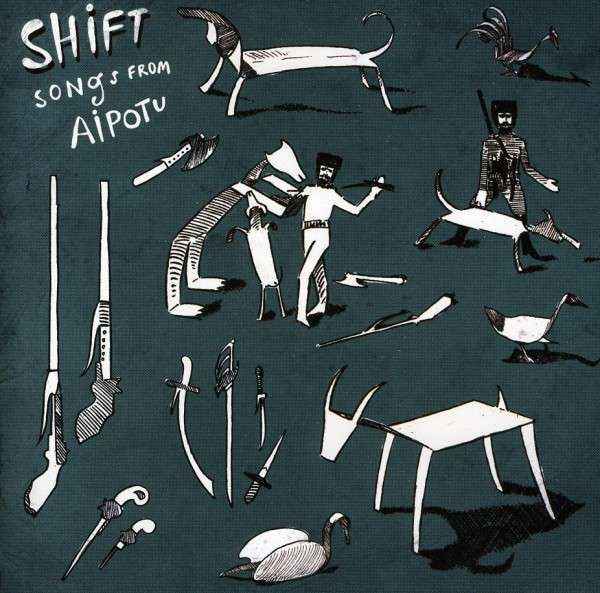 Aipotu (“utopia” in reverse) is a word from a novel by the German author Peter-Paul Zahl. Neither is it music from the beautiful ideal state, nor the exact opposite - it is music from the here and now, compelling, uncompromising, rich, and prodigious in its power. 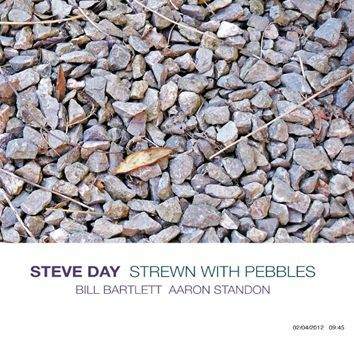 Troy Dostert had to admit in his review of Steve Lacy’s “Avignon and After” that he actually does not like solo recordings. Well – I can understand him. And I have difficulties with the sound of some instruments like the guitar (as mentioned above), the human voice, and – the flute. 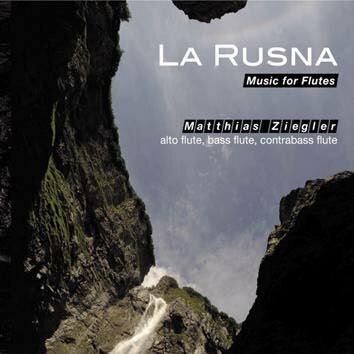 So the expectations for Matthias Ziegler’s “Las Rusna” were rather low. After listening to the album the surprise was all the more bigger. Ziegler does not play regular flutes here, he is a specialist in bass flutes (contrabass flute, baritone flute, alto flute) and has even designed some new instruments. He creates a completely strange, trembling, and almost unheard sound with carefully placed microphones in the flutes itself. 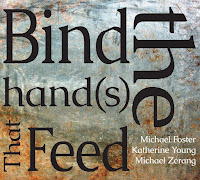 With the help of some effects the album sounds like the echo of a minimal symphony played by one musician. Especially the title track, a 20-minute-drone, is a psychedelic trip you can get high on. It feels like sitting in the lung of a huge gentle beast listening to its breathing. To your own surprise you are not afraid, it is a completely organic and natural ethereal sound, surreal and mind-boggling. The other tracks are not as unique but nonetheless unusual and interesting. “Stop n Go”, for example, is a tour de force on the baritone flute, much faster, less ambient. 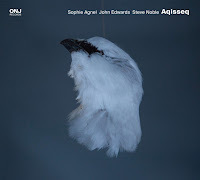 Ziegler shows what an excellent player he is, presenting a huge variety of sounds, aspirating, breathing, key tapping, exploring the sonic possibilities of his instruments. This album was the great discovery in all this LEO stuff. Steve Day has recorded for Leo before (his CDs “Visitors” and “Songs of the Fly”), although he is mainly known as a left-wing critic and as the author of liner notes for Anthony Braxton and the wonderful book “Two Full Ears – Listening to Improvised Music”, in which he describes the relationship between playing and listening to free music from the perspective of the listener. Unfortunately, he should not have changed allegiance. 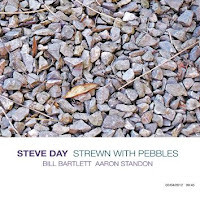 On the 10 songs on "Strewn With Pebbles" Day (voice, percussion) is supported by Aaron Standon (saxophones and guitar) and Bill Bartlett (piano and Hammond organ) who also accompanied him on his first two albums (among others). Even if the songs are said to be built on collective improvisation based on Day’s great jazz knowledge he often sounds like a cheap gutter poet, in his worst moments like a whiny version of Tom Waits, Shane McGowan or Robert Wyatt (especially when he tries to sing). I can hardly find authenticity or inspiration in these songs, nothing that grabs my attention. 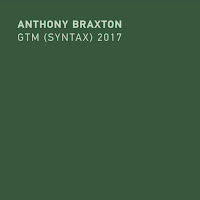 What saves the album to a certain degree is Aaron Standon’s sax, although it sometimes has to fight hard against the misplaced Hammond organ and the amateurish percussions. Sorry, Steve. Thanks for these really comprehensive reviews. It's great to know what Leo Records is up to. And of course we should all thank Leo Feigin. I have very fond memories of listening to the Ganelin Trio for the first time and hearing the Braxton/Parker duets.